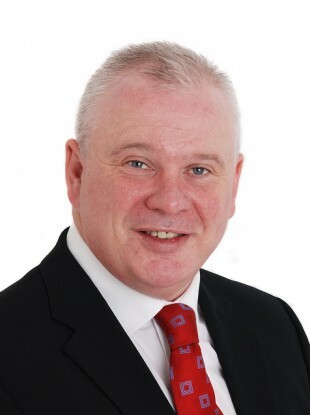 A TIPPERARY COUNCILLOR is to resign his seat and leave Labour over concerns that the party has “lost its core values”. In a statement to TheJournal.ie, Bobby Fitzgerald confirmed he is formally resigning his Labour seat on South Tipperary County Council. The Carrick on Suir resident believes the party needs “real leadership” instead of forming part of a government that supports an economy which “benefits a few at the expense of most”. He said he now intends to spend more time with his family and concentrate on his business interests (he is a managing partner and founding member of an accountancy and consultancy firm in Tipperary). Fitzgerald’s resignation and statement are not the first signs of tensions at grassroots level. But cracks have also become visible higher up the chain. Chairman of the party Colm Keaveney, who was elected by delegates at the annual conference last April, has already lost the whip for voting against the Social Welfare Bill in 2012. He is one of five TDs who are now excluded from the parliamentary party for dissent. Email “Labour has lost its core values, says resigning councillor ”. Feedback on “Labour has lost its core values, says resigning councillor ”.